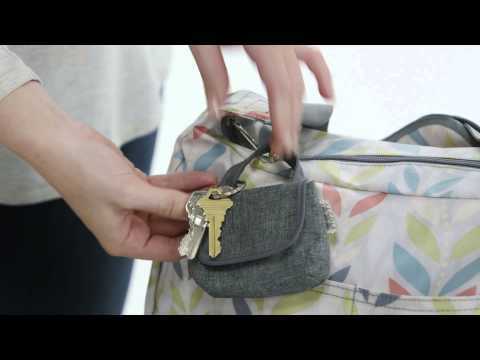 With its "attach anywhere" handle, the pacifier pod can be kept on your belt loop, diaper bag, car seat or stroller. With the pacifier pod, your child's pacifier finally has a clean and accessible home. With its "attach anywhere" handle, the pacifier pod can be kept on your diaper bag, car seat, stroller, etc. With the Pacifier Pod, your child's pacifier finally has a clean and accessible home.